You can convert a control point into a keyframe and a keyframe into a control point. The position and other values will remain in both cases, only the frame will change. A control point is not locked in time. In the Camera view, use the Transform tool select a point to convert. From the top menu, select Animation > Lock in Time. 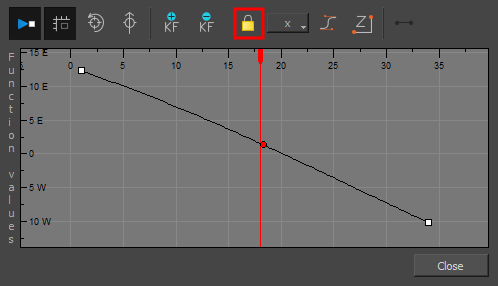 In the Function view or Function Editor, select the keyframe to convert and click the Lock in Time button.